Guerilla Baseball is CLOSED! Visit TopVelocity.net for baseball training programs and camps! Guerilla Baseball Gear is now on sale online and at Guerilla Baseball Academy in Mandeville, LA. If you would like to purchase the gear online select the Shop Gear link in the navigation above. The gear includes everything in dry fit performance shirts to shorts and hats. 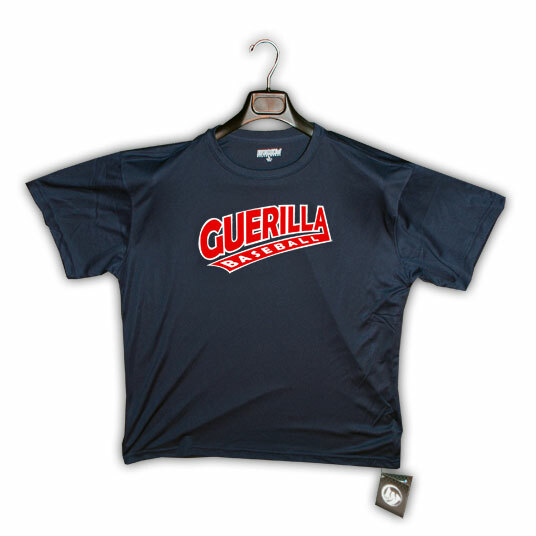 If you are a fan of the Guerilla Baseball Academy then you must be wearing some Guerilla Gear! Devon S. Romero: "The information about the acti..."
Kenneth Perdue: "I am interested in sending my ..."
Mason diamond: "Looking for a 14u travel team ..."
Donna Cole: "Trying to get my daughter in f..."